Make RAW adjustments and sync adjustments to other frames. Mask in the sharp parts of each frame (either by hand or by using PS automation). This helps to create the high detail starting in the foreground and moving all the way back to the starry sky and mountaintop. He used a Nikon D610 camera with a Tamron 15-30mm lens. 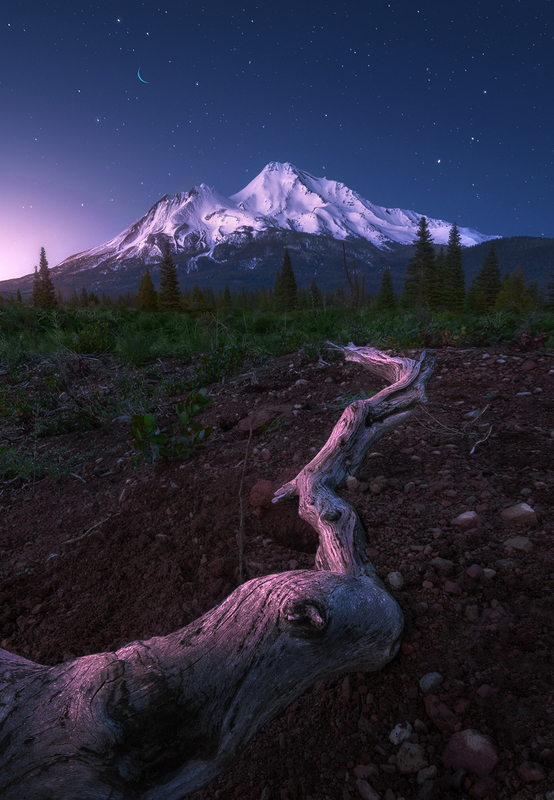 His settings were f/4 for the sky, f/16 for the foreground and mountain, 13 second exposure, and ISO 100.